-Could the same happen here in the VI in light of ongoing issues of spending and corruption? 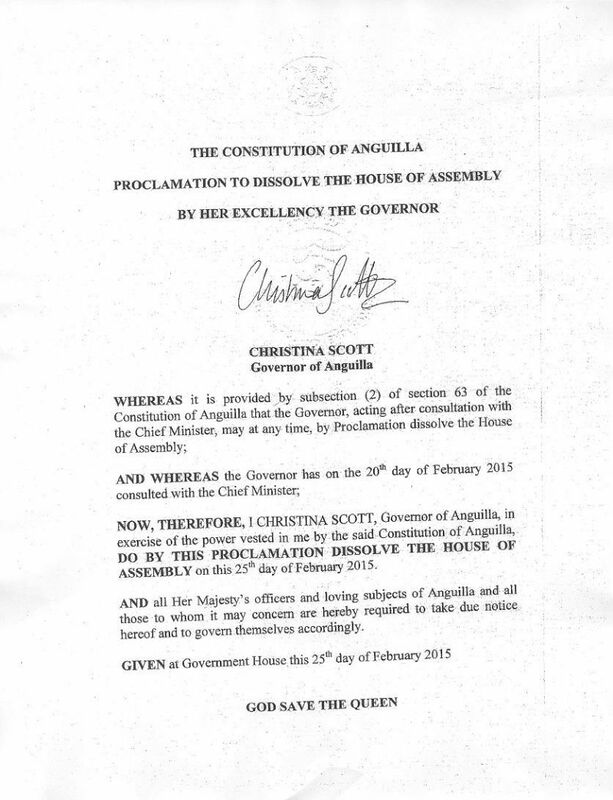 THE VALLEY, Anguilla, WI – Governor of Anguilla Christina Scott yesterday February 25, 2015 dissolved that Territory’s House of Assembly in advance of the forthcoming election in accordance with the British Overseas Territory’s Constitution. According to a press release yesterday from the Governor’s Office in Anguilla, the election must now take place on or before Friday 24 April 2015. “A further announcement of the date for the election will be made in due course,” said the release. Published guidance to public officers and elected officials states that the dissolution of the House of Assembly does not affect the day-to-day business of the Government. 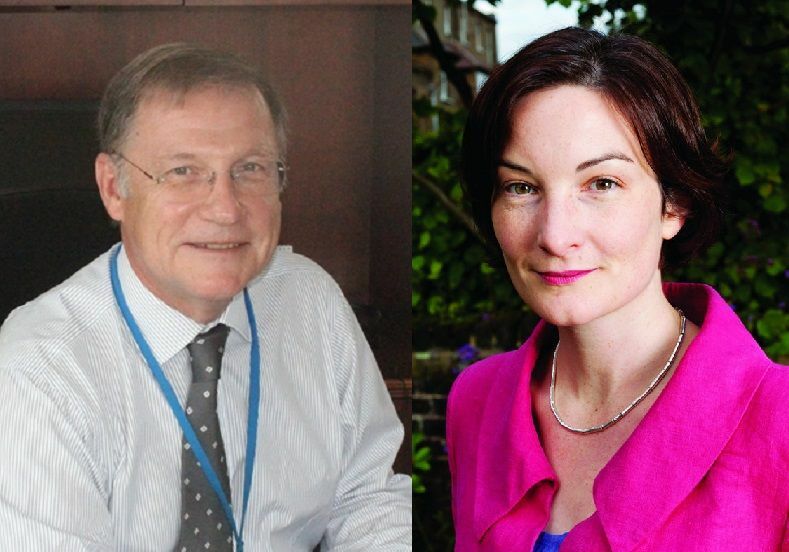 “Executive Council members remain in charge of their portfolios. Following the dissolution of the House of Assembly it is, however, expected that Ministers will refrain from initiating any action of a continuing or long-term character,” it said. Could this happen in the VI? Following the circulation of this news out of Anguilla, persons have been asking whether the same could happen here in the Virgin Islands given the continuing controversy over corruption, questions that surround the cruise pier project and other issues. It is being asked whether the Governor here, His Excellency John S. Duncan OBE may find it wise to dissolve the Virgin Islands House of Assembly in preparation for early elections in light of the spending of the National Democratic Party (NDP) Government and the ongoing issues of corruption. Further, persons have suggested that it may be instructive for Governor Duncan to ensure that spending is postponed until after the election unless in cases where such postponement would be detrimental to the national interest. Although the Public Accounts Committee (PAC) and the Office of the Auditor General have pronounced on the cruise pier project, it is continuing ahead and Governor Duncan is yet to make an announcement on whether he would appoint a Commission of Inquiry as recommended by the PAC. Further, a leading politician, Honourable Andrew A. Fahie (R1) labelled the NDP Government the most corrupt in the modern history of the Virgin Islands. Please, this is the best government in the BVI in years, so much being accomplished. On what grounds would it be dissolved ? The same loan VIP couldn't touch for almost 2 years? The same projects they couldn't complete? NDP finished the Hospital, build a brand new Tech School, revamped the entire education system top to bottom, mandatory teacher/principal training, cruise pier development, new road equipment, sewage issues being handled, rebuild reserves to over $50 mil, paid contractors that's only a drop in the bucket. NDP getting things done that VIP laboured over (Pebbles Hospital, Road Town Sewerage, Cruise ship extension etc plus balancing the books and saving for the future). Any snap elections is in NDP's favour as they have a full slate of candidates. VIP and PEP have yet to name their candidates and would be caught short if elections were called early. If VIP didn't get dissolved from 2007-2011 then NDP is not even close to getting dissolved! VIP did more spending and had more corruption projects during that term! Should I name some of them ?? oh please i dont see how this has anything to do with the VI. struppes. WOW. WOW. I`m loving this article, not like what happened last election with Purcell road drainage work going on during election, (That project is like a wound with no cure) not those big loans and major projects months before. I hope this Governor here is reading this article and is learning how things are to be done. do Anguilla has the atlarge waste a time system, any one knows? This has all do with the BVI situation as we have the issue of corruption and the big one conflict of interest. I hope when the governor dissolved our House of Assemble he will take a page out of the lady governor’s book and demand d no MORE RECKLESS spending before elections. VIP sure they want early elections? They don't even have candidates and Rajah is their mouth piece.. LOL! We all know that the Premier has the POWER to call the General Elections so what nonsense article about the Governor to dissolve the HOA when he have to consult with the Premier first for the date. Ah Mo Mo you tek we for or you want me to crow on this? People so stupid! There will be no dissolution until the Premier speaks with the Governor and let him know when he wants election to be called. The Governor will not simply get up and dissolve the House. How can people be so foolish? It is always done in consultation with the Premier. This is always how it's done just like when people are appointed to boards, it's the Ministers that make suggestions while the Governor makes the actual appointment. Early or late election, NDP have earned another four years. Just for clarity, Anguilla do not have the at large system. In fact they only have 7 district representatives. 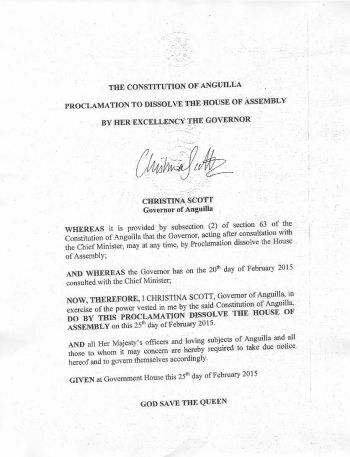 Further the House of Assembly in Anguilla was dissolved yesterday at the advice of the Chief Minister. His government was in power for a full 5 year term (2010-2015), so Anguilla is now constitutionally due for General Election by April 24, 2015. The Chief Minister will be advising the Governor as to the Election date shortly. NDP and you - NOT MAKING progress together!! On grounds that the NDP allowing the hotels to bring in ex-pats and putting them in positions over the locals who are doing the work. Allowing cable tv on Virgin Gorda to collect your money every month and you can't even watch cable. It's time for a new government. The BVI is like a run-away train. Some one stop it before it goes off it tracks.